This Accessory DOES NOT include the strap which you must order separately! 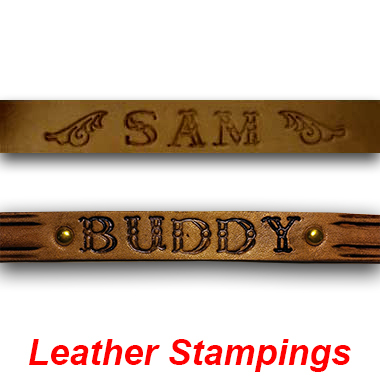 We highly recommend Natural Cowhide as that stamps best! Pricing is calculated as follows: $9 for setup, then $2 per character stamped. Leather is 1/2 inch high and Characters are 3/8 inch high and all caps. A maximum 10 characters is allowed.